In this bold, provocative book, now in paperback, Rev. 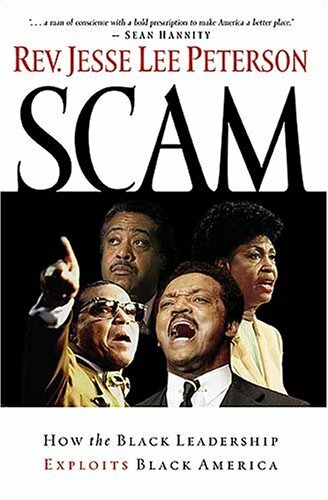 Jesse Lee Peterson-the most outspoken critic of the civil-rights establishment in America today-lays bare the black community's corrupt leadership, calling black Americans to shake off the stranglehold of these "leaders" and take control of a future full of hope and promise. Peterson courageously takes aim at the biggest names-Jesse Jackson, Louis Farrakhan, Al Sharpton, and Maxine Waters, among others-claiming they are nothing more than scam artists profiting off the hatred and disorder they foster in the black community.